Click the left mouse button to release the hook. You must grab the balloons by the string without popping it. 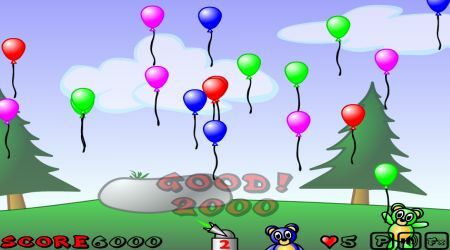 If you are able to match the balloon with the color of the bear, you earn more points. 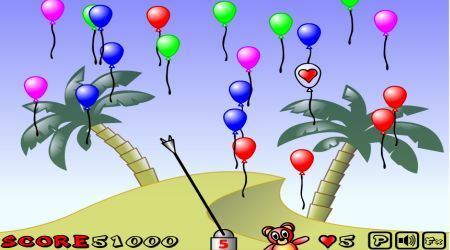 You can also catch the unique balloons for more fun.